It's that time of year again! The stores are packed with shoppers, sales are popping up all over the place, and we are all brainstorming gift ideas for loved ones. While I can't control the first two scenarios mentioned, I may be able to help you with that last one. Here are some gift ideas for the men, women, and loved ones in your life. Men are so difficult to buy for! Maybe I'm just terrible at it, but I have such a hard time thinking of gifts for the men in my life. Here are a couple of great products I've found for the guys. I'll give it to the guys, shaving your face every day definitely sounds like no fun. I can't imagine experiencing knicks, razor burn, and ingrown hairs on my face. How uncomfortable! Thankfully, us ladies don't have to experience that...and now, neither do the guys. The Van Der Hagen Traditional Safety Razor reduces razor burn and skin irritation while using a single double edge blade for a closer shave. The Shave Butter keeps skin hydrated without clogging pores and improves the razor glide. It's also perfect for sensitive skin. Finally, the Shave Oil makes it easy to see where one is shaving, provides a protective barrier, softens the beard, and contains no surfactants. 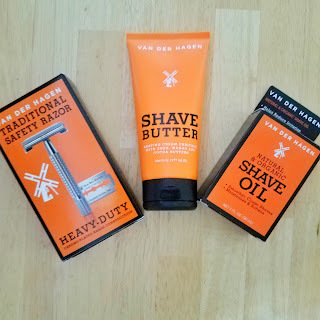 If you have a guy that loves a close shave, this is the set for him! You may not be able to decrease his shave time, but you can gift him these items to improve his shaving experience. Have a guy (or gal) that LOVES cars. Are you sick of giving them the typical car cleaning kit found in most box stores but have no idea what other car-themed gift you can give? Brush Hero is the product you're looking for. This brush, yes, is a car cleaning tool. But it's different than your typical shammy/sponge. The Brush Hero simply attaches to your garden hose and can be used to clean not only your car but pretty much anything from your bicycle spokes to your dog. It's truly something different that is sure to come in handy. It's happened to all of us, ladies. You're minding your own business, looking cute in your dress, skirt, or shorts, when you suddenly realized you missed a spot while shaving. Maybe you step into the sunlight and see the stubble more clearly. Maybe you scratch an itch on your ankle only to feel spikes. Most of us have no other option than to just endure and hope that no one else notices that one hairy, forgotten patch. But now, there's an easy solution. 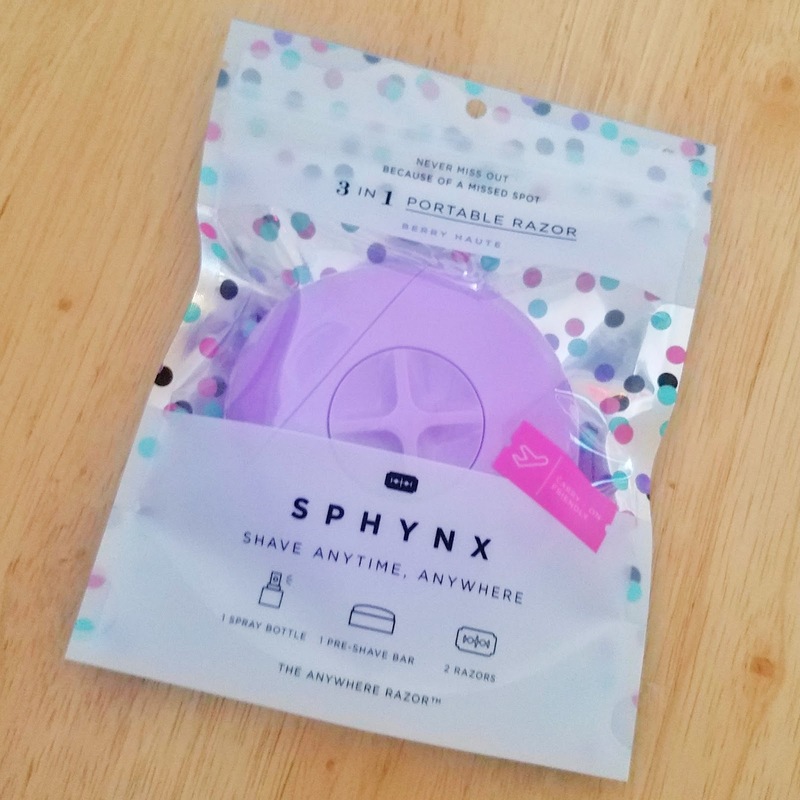 The Sphynx combines water, a shave bar, and a razor in one purse-friendly container. Now, all we have to do is excuse ourselves for a minute to take care of that unwanted stubble. This is also perfect for someone who is constantly traveling. Plus look how cute it looks! I can not express to you how much I personally love these masks. This cruelty-free brand offers affordable, luxurious face masks with something for everyone. My personal favorite is the Hot Spring Sauna mask. 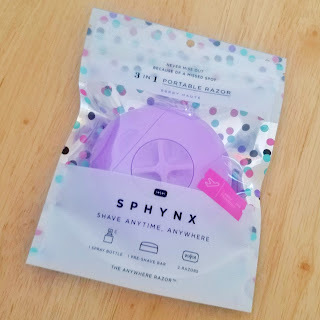 I love how it heats up on its own and exfoliates my skin without drying it out for a brighter complexion. Honestly, there isn't a mask I've tried by 7th Heaven that I don't like. Plus, since they are typically priced at around $2 each, you can afford to try several different kinds. 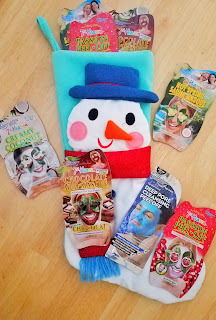 They make great stocking stuffers or you could even gift a bunch as part of a spa-themed present. Oh, my goodness. If you know me, you know coffee and chocolate are two of my favorite things. 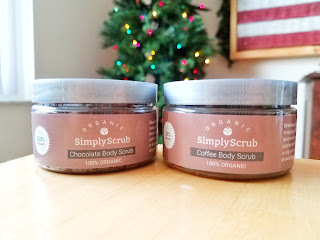 And these scrubs smell exactly like a strong cup of coffee and a dark chocolate brownie. That's most likely because these 100% organic and natural scrubs are actually made of organic coffee beans and organic cacao. I LOVE Simply Scrub. Not only do they smell great and leave my skin feeling amazing, I also understand what every single (organic) ingredient in these scrubs is. I don't need to put on body lotion after using these scrubs. They exfoliate and moisturize. They are also very affordable. The scrubs pictured are currently $14 each. Whether you are looking to give a gift to a couple you know or to your own partner, Crated with Love is an amazing option. We've all heard, read, and been told that it's super important to continue dating your partner even after the two of you have "settled down" (meaning after you've been together awhile, moved in together, had kids, etc.). But it's pretty difficult to get out of the house on a date when you have small children at home. So much coordination, planning, and scheduling have to be done just so you can have that all special date night out with your love. Not to mention the cost and stress of finding a responsible, reliable babysitter who is actually free. So, we've all tried the "date night in" after the kids have gone to bed. 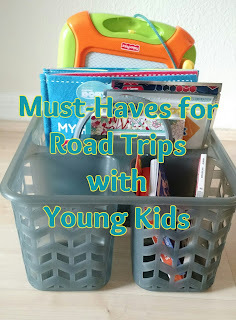 But let's face it...it's hard to continue to think up fresh, fun ideas that are 1. affordable and 2. doable without waking the kiddos. That's where Crated with Love comes in. Now we've all seen the date-night-in boxes before. And they normally cost so much money that most of us don't really feel comfortable spending the money every month. But Crated with Love is just $19.99/month (and free USA shipping)! 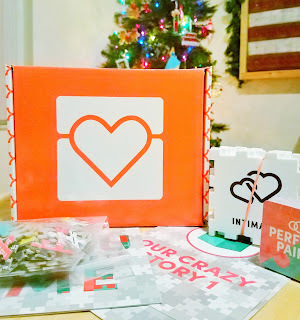 The boxes are also incredibly cute and made to help you and your partner build relationship skills. That means you will not only be spending time together while having fun, but you will also be actively working on your relationship. 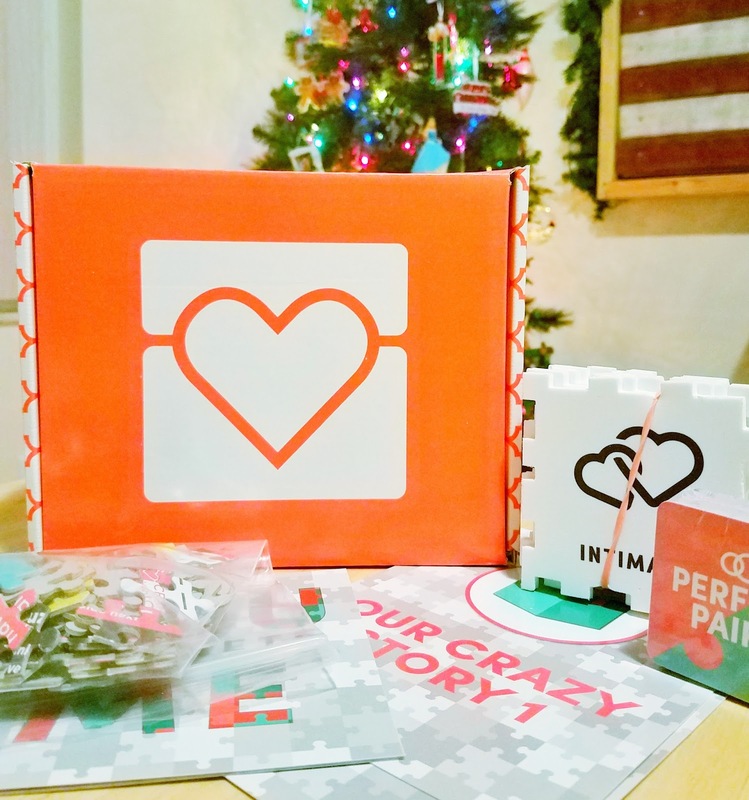 Crated with Love is so much more than just a subscription box, it's a relationship tool we could all use. I am a HUGE Foreo fan. My son uses a Foreo toothbrush (it's the only one he will willingly use) and I use the Foreo Luna mini daily (and have for years). I even gave my best friend the Luna for Christmas last year...and she's used it daily ever since. So it's not surprising that I think these gift sets are perfect for anyone. 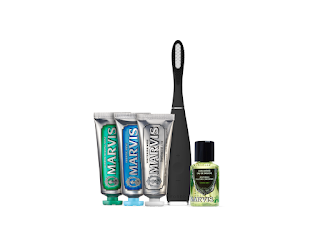 The Mint to Be gift set includes the ISSA Hybrid Sonic Toothbrush with 3 Marvis Toothpaste Flavors and a mouthwash concentrate. The Our Little Secrets set includes a LUNA mini 2, Tarte Brighter Days Highlighting Moisturizer, Tarte Rainforest for theSea Deep Dive Cleansing Gel, and Tarte Drink of H2O Hydrating Boost. Giving a gift that also supports a great organization is a win, win in my book. TWLOHA is a non-profit that works to help those struggling with depression, addiction, self-injury and suicide and reduce the stigma around mental health. I've supported this organization for years and love how simply stylish their merch is. 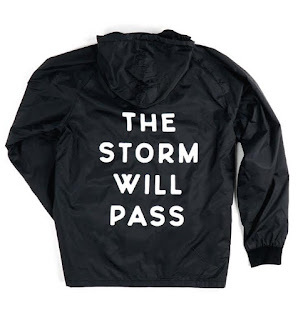 This TWLOHA Rain Jacket is perfect for men and women. Sphynx seems a nice gift. I would like to add my favorite Revitol Hair Removal Cream to manage those unwanted hair pop in the most bizarre stop and everywhere else at the most inappropriate time can be difficult to manage. As it comes with natural ingredients to help you get rid of any unwanted hair you might have.